Left school at 13 and worked at Thomas Bromiley's paper bag manufacturers for 18 months before joining the Town Clerk's Department in Bolton Town Hall in 1919. He later became a Solicitor's Clerk to Russell & Russell, eventually rising to senior managing clerk there. 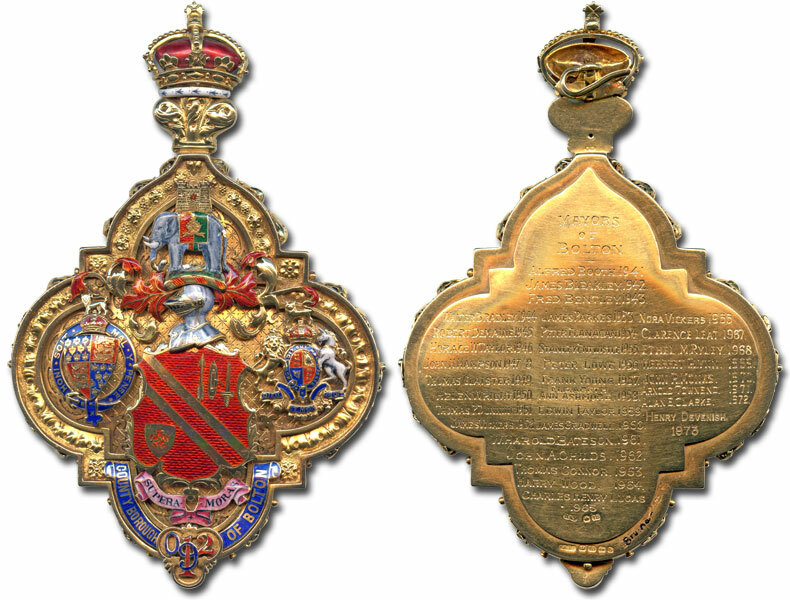 Served in the Royal Engineers during the First World War. Represented Great Lever Ward from 1946. 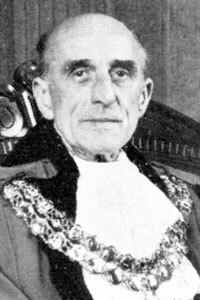 Alderman from 1954. He was Chairman of the Public Control (formerly Watch), Parks and Transport Committees. He retired from the Council in 1969. President of Great Lever Conservative Club. He was a keen bowler and was Chairman of the Bowling Association for a time and President of the Bolton and District Conservative Bowling League. He was a Freemason and served on the Council of the Brotherhood in Silverwell Street. 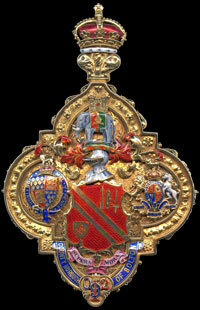 His wife, Sarah Ellen (Nellie), was Mayoress and she was also a member of Bolton Choral Union. 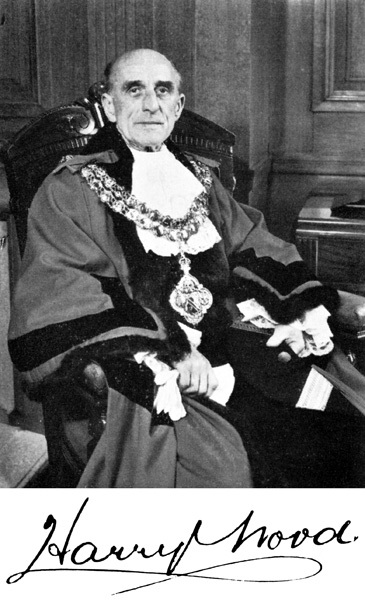 Formal portrait of Harry Wood as Mayor of Bolton.